The week is almost over! Today I bring you Zoya Nyx! Vespa and Nyx would have been perfect for my bridesmaids to wear at my weddng. Zoya Nyx. What else can I say? For the swatch below, I used three thin coats as this one is sort of sheer too. This blue is amazing and delicate. 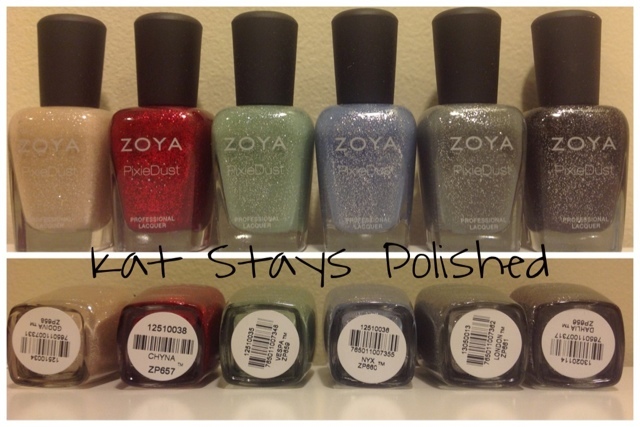 I'm running out of good things to say about the Zoya PixieDust collection...and I still have 2 more to go! Have I convinced you to get these yet??? 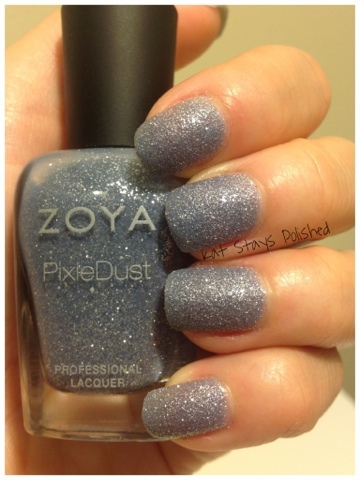 Did you know that Zoya is releasing another set of Pixies REAL soon???? Get on it! OMG so in LOVE with these...I may have to pick some up now! Are you in NZ??? Please tell me where you bought? I have been looking for ages both in stores and online and cant find it anywhere!!! Im in love with the pixie dust range! Hi Bianca! Sorry, i am not in NZ and currently Zoya does not ship outside of the US.